Debuting on October 5, 1955, the Continental Mark II carried a price of $10,000 - fifty percent more than the most costly Cadillac of the same year. With a long hood, short deck and a trunk sculpted to hold the "continental" spare in a semi-upright position, the new Conti captured the proportions and sporty yet elegant spirit of its handsome predecessor, and succeeded in becoming the "modern classic" that Ford officials had hoped for. The embodiment of the "long and low" look of the time, the Continental's frame was specially engineered for a very low profile and required a three-joint drive shaft. Despite its lowness, the Mark II actually provided more headroom than the regular 1956 Lincolns. The build quality of the Continental Mark II was impeccable, rivaling the careful construction lavished on cars like Rolls Royce. The materials, too, were the best, and critically inspected at every stage of each car's construction, after having passed severe quality and durability tests. For instance, exterior chrome was subjected to a 10-day salt spray test. Scottish leather was used in the upholstery of each car. Transmissions were tested prior to being attached to engines, and then the completed units were subjected to a rigorous dynamometer test. Front sheet metal was test fitted to the body before final assembly and painting. And only lacquer was used in the painting process. Fourteen quality control stations were placed in the assembly plant at critical stages. When completed each car was, of course, exhaustively road tested before release for delivery. But the quality story didn't end at the dealership. A field service program ensured that any complaints or defects were rapidly corrected for the customer. Plus, a team of factory service engineers was dispatched throughout the country to personally investigate and remedy any serious or repeat complaints. With its high price and slow-moving production line, the Mark II was never expected to be a high-volume moneymaker for Ford, but was instead intended to be the flagship for Lincoln's re-entry into the luxury car field. It likely never made a penny for the company but succeeded admirably in establishing Lincoln in the top rank of U.S. cars again. Production for 1956 and 1957 totaled 2,994 cars. Today, the Continental Mark II is an avidly collected automobile and has been designated a Milestone Car by the Milestone Car Society. They enjoyed a very good survival rate, much like early Thunderbirds, because people recognized that they were true "special interest" cars from the day of their introduction. Because of their complexity and the quality of the materials originally used, a full restoration on a Mark II can quickly get expensive. They are prone to rust, like most cars of their time, and a complete new interior could clobber your checkbook mercilessly. There are a good number of well-preserved, largely original cars available and some older restorations that may need freshening rather than another major teardown. Unless you have the requisite skills and time to tackle a body-off rebuild of a Conti you'd be better off setting your sights on one of these cars. If you buy one with factory air, so much the better. This was the only option on these cars and is a rarely seen one today. If you are known by the company you keep, then the Mark II deserves high marks. A wide swath of the rich and famous in the 1950's owned one, including Elvis Presley, Frank Sinatra, Louie Prima, Dwight Eisenhower, Barry Goldwater, Spike Jones, Nelson Rockefeller, Henry J. Kaiser, Howard Johnson and the Shah of Iran. Though the Continental Mark II was met with a great deal of interest, at 10,000 dollars in 1955 the car was too expensive to attract much of a following. Ford executives originally planned to build about 2,000 Mark II's a year for a period of five years, and the model exceeded their projections early on. 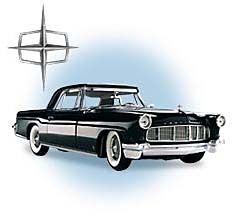 Some 2,550 Mark II's were built during the 1956 model year, but by the end of the year sales slowed to a trickle. A very slightly revised 1957-model Mark II was put into production, but only 444 were built, and the model and the Continental division itself were abruptly cancelled.